Piso Fare 2019 Promos Until 2020: Php 499 Affordable Fare after Piso Fare! 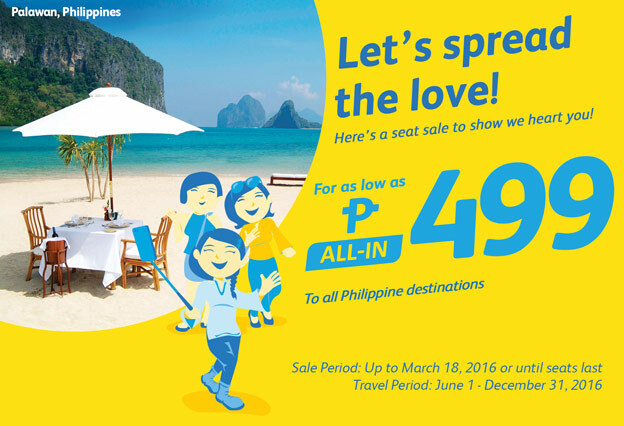 Piso Fare 2016: After the Piso Fare 2016 has been launched by Cebu Pacific, they have come up with a new affordable promo for their customers. Welcome the All-in P499 Domestic promo fare! This is for all Philippine destinations. But the catch is, it's only based from MANILA. So if you are coming from other cities, that's regular fare. So please bear that in mind. Gusto ko po magpa book paano po ba?